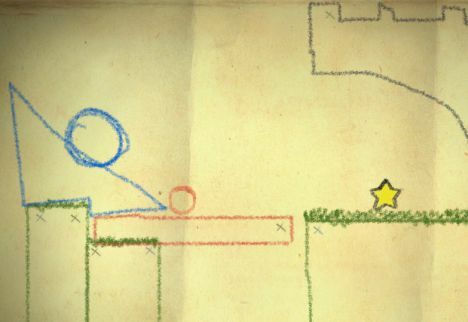 I've been following Crayon Physics Deluxe since I first laid eyes and hands on it at GDC. The concept of a physics-based puzzle game where the player can actually draw things into existence that move and fall and react the way they would in real life amazed the hell out of me, as it did many gamers. Now, almost a year later, Crayon Physics Deluxe is finally complete. Does it live up to the potential awesomeness of its mechanic? 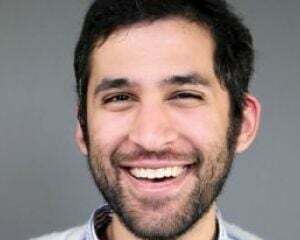 Is it as wonderfully clever and breathtaking as this video would have you believe? Ashley Davis and I played through the game to find out. Crayon Physics Deluxe is goddamned magical. There's no other word for it. As a physics/puzzle/creation game, CPD is nothing short of mindblowing. By simply drawing shapes and lines, you'll dynamically create boulders, wedges, clubs, and mechanical systems that would seem ridiculously unintuitive and too complex in any other game whose presentation and interface wasn't so wonderfully simple. CPD actually forces the player to complete some remarkably complex and difficult engineering feats, but since the player's interaction with the game never goes beyond "draw stuff" (there are no menus, no inventory items, no special crayons that perform special feats), the answers never feel too obtuse or out of reach. Though there's obviously a limit on the sorts of contraptions you can create, your possibilities feel limitless -- no matter how you draw an object, it will physically behave exactly as you would expect it to, and that is goddamned insane -- and thus the inherently mindboggling puzzles become much easier to wrap your head around. Additionally, puzzle solutions are made all the more satisfying given the fact that every single manipulable object involved was specifically designed by your (hopefully steady) hand. 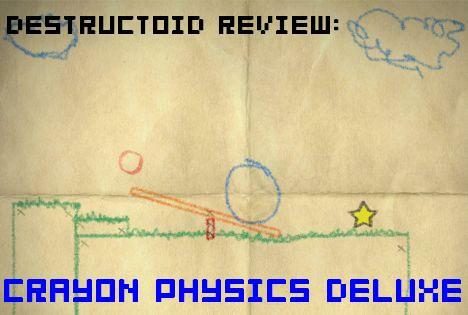 Where most puzzle games rely almost solely on the player's ability to read the developer's mind and eventually come to an intended solution, Crayon Physics Deluxe refreshingly allows players to use their own creativity in reaching their goals. Crayon Physics Deluxe is the truly rare game that has such an interesting primary mechanic, and knows it has such an interesting primary mechanic, that it never feels the need to distract the player with superfluous nonsense. Yes, you'll "just" be drawing objects in an effort to guide a red ball to a level-ending star, but the sheer depth and freedom afforded by the drawing mechanic assures that the game never feels like it's stretching for content. Granted, all this freedom comes at a cost. After the game reached its halfway point, I'd learned enough about how to use pulleys and cups and weights and stuff that -- I am filled with loathing as I type this -- I found myself cheating to get through most of the later levels. Well, not cheating, necessarily, but certain strategies are so useful that no matter what the levels themselves seem to ask of the player (for instance, one level where the ball rolls down a dinosaur's back and is meant to somehow roll up and over into an alcove), I just kept using a simple pulley/cup system to essentially bypass whatever intended solution the game requested of me. Add to that the fact that it's depressingly easy to actually cheat by drawing objects under the ball in such a way that they clip into it and push it up a few centimeters, and CPD gets distressingly easy to out-douche once you've learned a few essential skills. But, then again, who is to blame for that? Perhaps it's the game's fault for not dissuading my cup-and-pulley panacea, but that would probably restrict other strategies. Perhaps it's my fault for not outright forcing myself to play the game the "real" way. Then again, unlike the linear puzzles offered in World of Goo or Braid where roughly 90% of player solutions would be more or less identical, Crayon Physics Deluxe often focuses more on freeform experimentation -- perhaps any strategy is a decent one, and it's my fault that I used boring ones over and over. Either way, I can't neglect to mention the fact that my first playthrough became remarkably dull after a certain point. Crayon Physics Deluxe can be completed in about two or three hours, but its potential replay value is damn near infinite: any of the puzzles can be solved in at least a hundred different ways, and the (again, remarkably intuitive) level editor will most definitely result in some amazing user-created stuff. In the end, there's no real reason not to get Crayon Physics Deluxe. So what if most of the later puzzles can be solved with stubborn brute force? 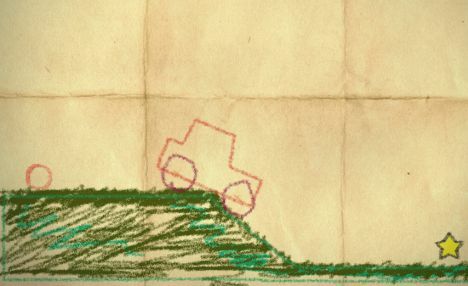 The drawing mechanic will make you feel like some sort of cross between Harold and Jehovah. 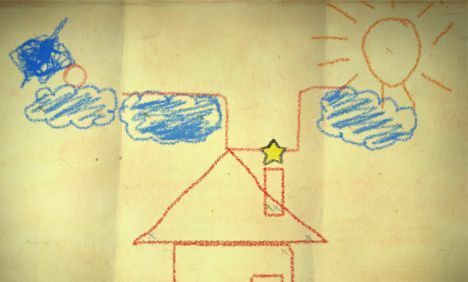 Crayon Physics Deluxe is a game full of charm and imagination (you can doodle on the world map!) the likes of which you've never, ever seen before. First and foremost, the visuals of Crayon Physics Deluxe are likely the first thing that will catch your attention, and with good reason. This may seem like an arbitrary point to start a review on, but the way that the game looks is an extremely important part of what it is, as far as I'm concerned. They are nothing technically impressive, but serve their purpose of transforming the image on your computer screen into a living, breathing crayon doodle. Perhaps it is the artist in me, but seeing spatterings of crayon everywhere evoked a heightened sense of creativity within myself. I found myself scribbling on the world map and attaching moustaches to everything I could for no real reason. A straight play through of the game in its entirety can be finished in only an hour or two. However, there is an immeasurable amount of replayability if you want to explore each of the 81 puzzles further. There is no one solution for each puzzle, and half of the fun of the game is in thinking up new contraptions to draw and use. With only a minimal understanding of physics, you can come up with a vast amount of solutions to the puzzles you are presented with. I surprised myself on one stage in particular when I assembled an elevator to lift the ball up to a star that rested under an impassible barrier on three of its sides. It's rare to find a physics based puzzle game where you can think, "Maybe I could do this to get to the goal," and have the idea work exactly as you envisioned it. Crayon Physics Deluxe allows you to do some pretty amazing things with just a crayon, and many of the things you will come up with will leave you with an incredibly great sense of accomplishment. The sheer simplicity of the game can be both a blessing and a curse. While the game does all it can to encourage the player to explore his or her mind for the answers, there is almost always an easy solution (drawing stacks of blocks to raise the ball up to the star). Even if you plan out an elaborate device to retrieve a star, you may find yourself making the same thing over and over, due to the fact that many of the puzzles are similarly set up. On a similar note, going into the level editor, I found it very hard to create something that had not already been done within the main game. Someone who has a better grasp of physics than I do may have an easier time coming up with new levels, but I feel that the level editor is almost unnecessary due to the amount of things one can do in the pre-existing levels. However, if I had the choice to add on a bunch of extra elements to the game to try and alleviate this problem, I would politely decline and keep it as it is. Why? Because playing Crayon Physics Deluxe really took me back to the days where I could pass the time with just a crayon and a ream of computer paper. I often dreamed of the things I put down on paper becoming practical, real life objects, no matter how badly drawn they may have been. Even without additional user-created levels, the gameplay is simple enough to match the childish ideals that the game is based upon. The soothing music, incredible style and mind-bending puzzles come together to make a game that is sure to evoke a childlike wonder in even the oldest gamer.